Dozens of senior Labour MPs are today calling on Chancellor Philip Hammond to use his Autumn Statement later this month to honour the £350 million a week for the NHS promised by the Leave campaign during the EU referendum. The pledge was a central part of the official pro-Brexit side’s argument, and was famously emblazoned on the side of their campaign bus. Now almost 40 Labour backbenchers have put their names to a letter to Hammond demanding he keeps to the pledge, which they say played a crucial role in the outcome of the referendum. Although Hammond himself supported an In vote, major figures from Vote Leave are now in senior Government jobs – notably Boris Johnson, the Foreign Secretary. The Chancellor will make his first Autumn Statement on Noveber 23. The letter, part of the #ShowUsTheMoney campaign, has been organised by Vote Leave Watch, a group that hopes to hold the Government to account on promises made by the Out campaign during the referendum to ensure that the British people gets what it voted for. Chuka Umunna, chair of the group, said today that the “Prime Minister is fond of saying that Brexit means Brexit. So Brexit must mean an extra £350 million a week for the NHS, as her cabinet colleagues like Boris Johnson claimed repeatedly. Notable signatories to the letter include Emma Reynolds, a patron of Vote Leave Watch, and former frontbenchers such as Margaret Hodge, Owen Smith and Seema Malhotra. “We accept the verdict of the British people. 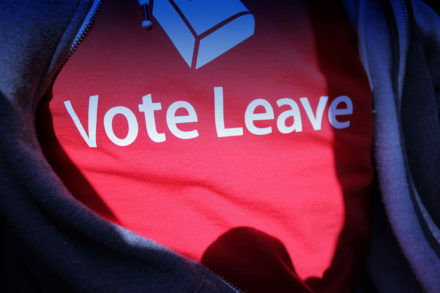 Yet it is clear that, if this mandate is to mean anything, it must include the single most visible promise of the Leave campaign – spending £350 million more a week on the NHS,” the letter states. “In just under a month, you will present your first Autumn Statement. We are calling on you to commit to increase national NHS spending by £350 million a week – that is £18.2 billion a year – as soon as this money becomes available by leaving the European Union. This additional funding must be over and above the amount that is currently planned to be spent on the National Health Service. Liz Kendall, one of the signatories to the letter, said: “Boris Johnson and other Leave campaigners need to learn that a promise isn’t just for a referendum campaign – it’s for life.